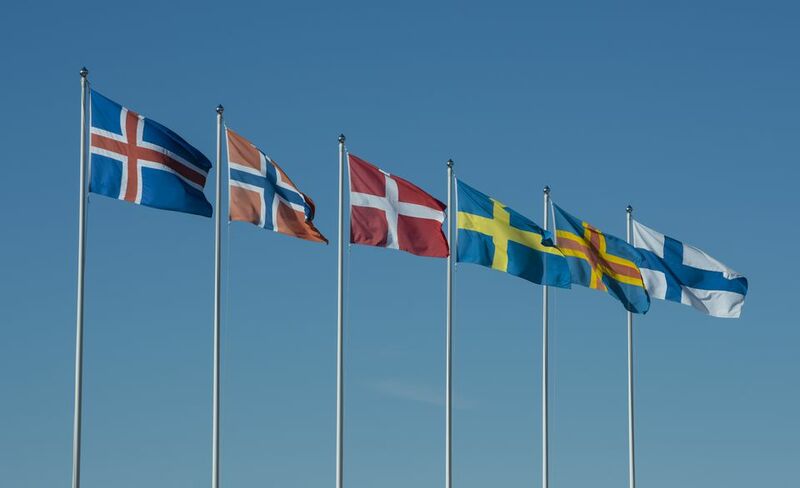 Located in northern Europe and the North Atlantic Ocean, the Nordic countries include Sweden, Denmark, Finland, Norway, and Iceland as well as their associated territories including Greenland, the Faroe Islands, and the Åland Islands. Currently, more than 27 million people call these Nordic countries home as of the most recent census (2017). For the most part, these countries have robust healthcare systems and higher standards of living, both of which make the region great for luxury vacations unlike anywhere else in the world. Additionally, many people travel here to enjoy outdoor adventures during the mild summers or snow sports during the frigid winters as activities, events, and celebrations vary by season across the region. While most people live in Sweden, Denmark, Finland, and Norway, you're sure to find a unique cultural experience and meet friendly, welcoming locals no matter where you go in the Nordic region. However, knowing the right time to plan your trip—which largely depends on what you want to do during your visit—goes a long way in making the most out of your vacation. For the most part, the majority of the region's citizenry are concentrated in large urban centers, especially in capital cities and economic hubs such as Stockholm, Sweden; Copenhagen, Denmark; and Oslo, Norway. Despite being the smallest country at 16,576 square miles, Denmark is home to two of the most populated cities, Copenhagen and Århus, both of which are great for historical tours, lush gardens, coastal views, and cultural museums and exhibits. Also, just across the Øresund (the Sound) from Copenhagen, the popular destination of Malmö, Sweden, is a great place to continue your journey from Denmark into Scandinavia's most-populated and largest country. Sweden: Ski resorts get really busy in late February, March, and December, and July and August are popular times for swimming and clothing-optional sunbathing. Go in June to catch the midnight sun while avoiding summer crowds or January to save on winter trips. Denmark: Early June is the best time to visit Denmark because crowds are smaller, days are longer, and there are plenty of cultural events happening across the country including Denmark's Constitution Day on June 5. Finland: Late May and early June are great to visit because school is still in session for Finns, the weather is warming up, and attractions have just opened for the season. You can also visit in September and October if you're looking for budget travel. Norway: The northern part of the country experiences 24 hours of sunlight in June and July, making it the most popular time to visit and experience the midnight sun. Don't forget about the Northern Lights, which are best visible from early September to early April when the region has longer nights. Iceland: July is the warmest but also the busiest and most expensive month of the year to visit Iceland. Despite the frigid polar nights in January through March, the nightlife scene and budget travel options available in winter make it the best season for travel. Greenland: March and April are great for dog sledding and for visiting the Nuuk Snow Festival in the capital city. The summer is also great for sailing and boating through historical sites along the fjords. If you're a fan of swimming and basking in the summer sun, there's no better place than Denmark for a Scandinavian beach getaway. If you'd rather go on an adventure featuring glaciers, active volcanoes, and polar creatures, you can head to northern Reykjavík in Iceland instead. Basically, there's a destination in the Nordic region for you no matter what activity or adventure you want to get into on your trip. However, popular tourist destinations such as Stockholm, Malmö, and Göteborg all experience a rush of crowds in the warmer summer months, so you'll want to avoid traveling during this time to save money on flights and accommodations. Likewise, popular winter sports destinations and resorts are likely to fill up fast in the coldest months of the year, so you may want to head to Scandinavia at the beginning or end of the winter season to avoid crowds and higher prices.